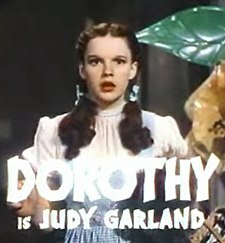 "Over the Rainbow" (Arlen/Harburg) exemplifies the 20th-century popular 32-bar song. The 32-bar form, also known as the AABA song form, American popular song form and the ballad form, is a song structure commonly found in Tin Pan Alley songs and other American popular music, especially in the first half of the 20th century. As its alternate name AABA implies, this song form consists of four sections: an eight-bar A section; a second eight-bar A section (which may have slight changes from the first A section); an eight-bar B section, often with contrasting harmony or "feel"; and a final eight-bar A section. The core melody line is generally retained in each A section, although variations may be added, particularly for the last A section. Examples of 32-bar AABA form songs include "Over the Rainbow", "What'll I Do", "Make You Feel My Love", "Blue Skies", and Willie Nelson's "Crazy". Many show tunes that have become jazz standards are 32-bar song forms. At its core, the basic AABA 32-bar song form consists of four sections, each section being 8 bars in length, totaling 32 bars. Each of these 8-bar sections is assigned a letter name ("A" or "B"), based on its melodic and harmonic content. The A sections all share the same melody (possibly with slight variations), and the recurring title lyric typically falls on either the first or last line of each A section. The "B" section musically and lyrically contrasts the A sections, and may or may not contain the title lyric. The "B" section may use a different harmony that contrasts with the harmony of the A sections. For example in the song "I've Got Rhythm", the A sections are in the key of B♭, but the B section involves a circle of fifths series of dominant seventh chords going from D7, G7, C7 to F7. Song form terminology is not standardized, and the B section is also referred to as the "middle eight", "bridge", or "primary bridge". A1 What'll I do when you are far away and I am blue? What'll I do? A2 What'll I do when I am won'dring who is kissing you? What'll I do? B What'll I do with just a photograph to tell my troubles to? A3 When I'm alone with only dreams of you that won't come true... What'll I do? Some Tin Pan Alley songs composed as numbers for musicals precede the main tune with what was called a "sectional verse" or "introductory verse" in the terminology of the early 20th century. This introductory section is usually sixteen bars long and establishes the background and mood of the number, and is musically undistinguished in order to highlight the attractions of the main tune. The sectional verse is often omitted from modern performances. It is not assigned a letter in the "AABA" naming scheme. In music theory, the middle 8 or bridge is the B section of a 32-bar form. This section has a significantly different melody from the rest of the song and usually occurs after the second "A" section in the AABA song form. It is called a middle 8 because it happens in the middle of the song and the length is generally eight bars. The opening section, often 16 bars in length, which resembles recitative from opera. None Verse Any of the three individual 8 bar "A" sections. Though the 32-bar form resembles the ternary form of the operatic da capo aria, it did not become common until the late 1910s. It became "the principal form" of American popular song around 1925–1926, with the AABA form consisting of the chorus or the entirety of many songs in the early 20th century. Though more prevalent in the first half of the 20th century, many contemporary songs show similarity to the form, such as "Memory", from Cats, which features expanded form through the B and A sections repeated in new keys. Songwriters such as Lennon–McCartney and those working in the Brill Building also used modified or extended 32-bar forms, often modifying the number of measures in individual or all sections. The Beatles ("From Me to You" (1963) and "I Want to Hold Your Hand" (1963)), like many others, would extend the form with an instrumental section, second bridge, break or reprise of the introduction, etc., and another return to the main theme. Introductions and codas also extended the form. In "Down Mexico Way" "the A sections … are doubled in length, to sixteen bars—but this affects the overall scheme only marginally". The theme tune of the long-running British TV series Doctor Who has, in some incarnations, followed 32 bar form. ^ "Chapter 2: Jazz Form and improvisation | Jazz: W. W. Norton StudySpace". WW Norton. ^ a b c Ralf von Appen; Markus Freight-Hauenschild. "AABA, Refrain, Chorus, Bridge, Prechorus — Song Forms and Their Historical Development". www.academia.edu. Retrieved 2016-01-02. ^ Beil, Richard (January 2009). ""The Lost Verses, Songs you Thought you Knew"". parlorsongs.com. The Parlor Songs Academy. Retrieved 29 July 2018. Although the Tin Pan Alley song-type continued to include verses, these most often were much shorter, sometimes serving as little more than introductions. The song became, in most cases and for most purposes, coextensive with the chorus. And, as was quickly learned within the time-restrictive environment of recording in the 1920s, the new Tin Pan Alley song, uprooted from the stage, worked best without its verses, as a fragment of expression that was somewhat fluid. ^ ""The golden age of Tin Pan Alley song, 1920s"" (PDF). www.northernhighlands.org. Northern Highlands Regional High School. n.d. Retrieved 29 July 2018. Verses were regarded as mere introductions by the 1920s, and today the verses of Tin Pan Alley songs are infrequently performed. ^ Parkinson, Alice (2006). Music. Lotus Press. p. 125. ISBN 978-81-89093-50-1. .
^ Wilder, Alec (1972), American Popular Song: the Great Innovators 1900–1950, New York: Oxford University Press, p. 56, ISBN 0-19-501445-6 . ^ Benward & Saker (2003), p.317–318. "The popular chorus form is often referred to as a quaternary form, because it usually consists of four phrases." ^ a b c d e f Covach (2005), Form in Rock Music: A Primer, p. 70 . ^ Benward & Saker (2003), p.318.